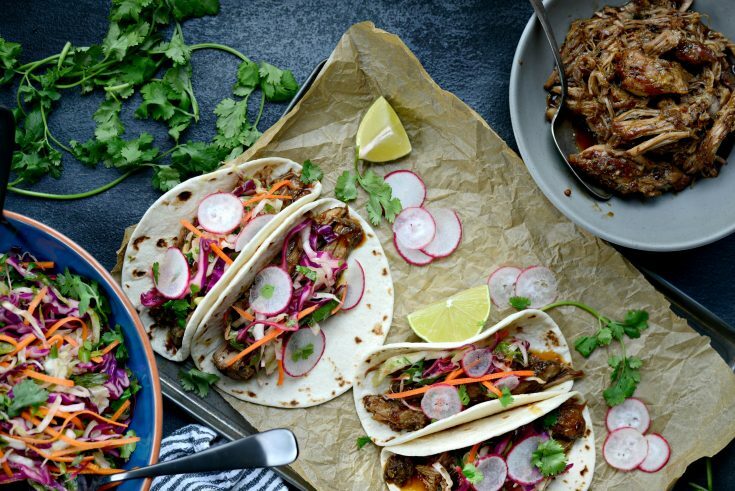 Sweet and ever-so-slightly spicy braised korean pork tacos are stuffed with saucy pulled pork and fresh cilantro slaw and then stuffed into flour tortillas. Seriously though, you guys have-ta-have-ta-have-ta make these ASAP! 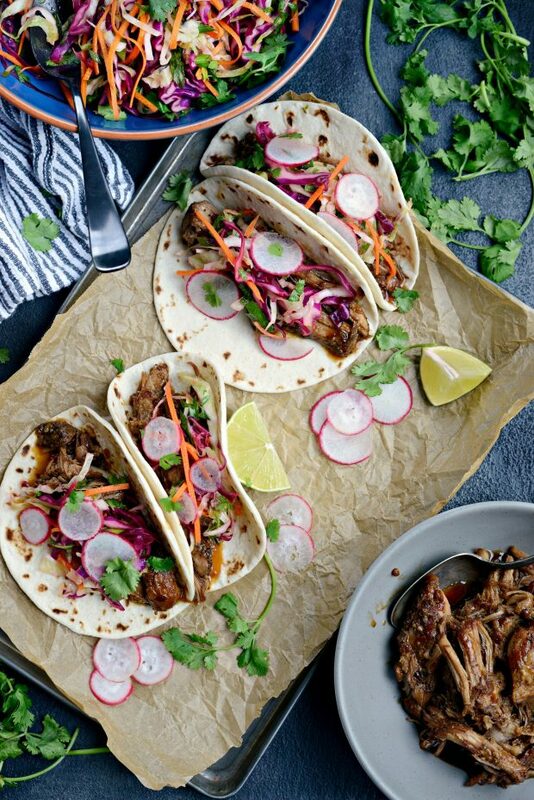 I’m not trying to be bossy, I just know the moment your taste-buds experience the sweet and ever-so-slightly spicy Korean BBQ sauced braised pork and the fresh and crisp cilantro coleslaw together, it will be insta-love! Think Married at First Sight but this marriage actually lasts. Inspired from yet another favorite restaurant, Fenton Fire Hall, that Pat and I just recently dined at with friends. 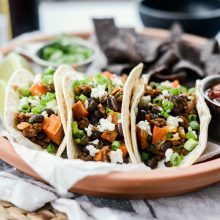 Remember this Sweet Potato + Jalapeno Mash recipe? Same place. After ordering their braised Korean Pork Tacos twice now, I realized I could easily make these at home and eat them whenever I want. Ummm, yeah!?!? 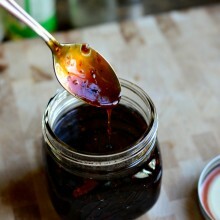 You may remember, I already have a killer Korean BBQ Sauce that I use on grilled chicken or sometimes as a sauce for stir-fry. But this sauce has yet to grace slowly braised pork. Until today. Since I just want to quickly braise some pork that’s going to end up being doused in a flavorful sauce, I don’t fuss to much with it. I cut my pork shoulder into 5 to 6 pieces, season with s & p and sear them in bacon fat. I keep a jar in my fridge at all times! Once the pork has a nice crust, I add a large red onion that has been cut into wedges into the bottom of the Dutch oven and add in 6 cloves of garlic (smashed and peeled), add the pork back in and pour in 3 cups of beef broth. You don’t want the pork submerged in the broth. Then simply cover the pot, and slide it into a preheated 325 oven to braise for 4 hours. Once the pork is tender and falling apart, I discard the cooking liquid and remove any extra fat. Then I shred the pork, but still keep it in fairly large chunks and add it back to the pot. Cover with the sauce and heat on medium-low until the sauce has been heated through. Note: One recipe of my Korean BBQ Sauce will be enough cover the cooked and shredded meat of a 3.5 pound pork shoulder, any larger pork shoulder and it may require you to double the sauce recipe. In the meantime, toss the cilantro coleslaw. I just love this slaw!! Warm up a bunch of soft, flour tortillas and fill with the shredded Korean pork. Then use tongs to top with the cilantro slaw and drop on a few thinly sliced radishes, or for a little heat some raw or pickled jalapenos. Yum! 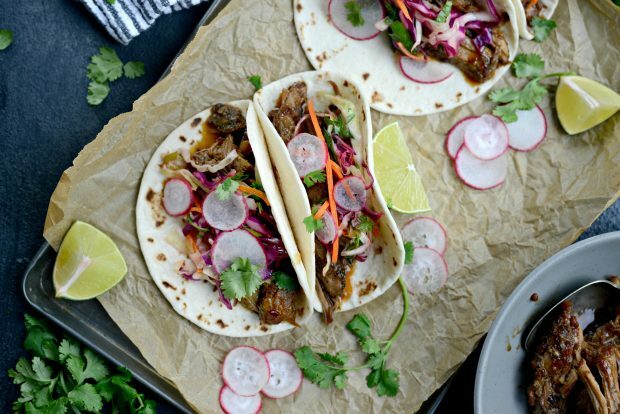 Now, stuff your face with these braised Korean pork tacos. Sweet and spicy, crisp, fresh and cool all wrapped up in a tortilla of love. That’s right, tortilla of love. 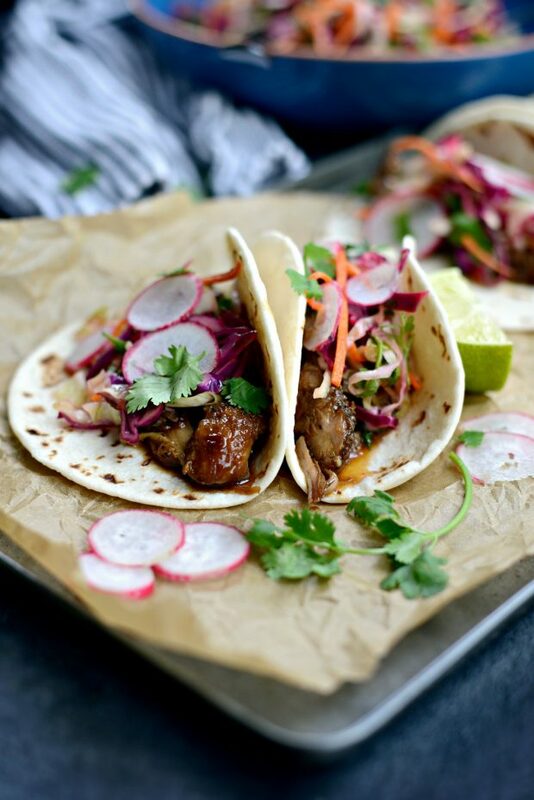 Long live braised Korean pork tacos! Needless to say, thumbs up all around our kitchen table. Mouths full, sauce dripping down the side of our hands as we sat in the quiet of food bliss. Man, I love good food! Sweet and spicy, crisp, fresh and cool all wrapped up in a tortilla of love. Remove pork shoulder from the fridge 30 minutes beforehand. Preheat your oven to 325°. Cut into 5 to 6 hunks and season generously with kosher salt and black pepper. Heat bacon fat in a large Dutch oven over medium-high heat. Once hot, sear all sides of the pork until deeply golden brown. Transfer to clean bowl and repeat. Once the pork has been seared, place the onion and garlic in the bottom of the dutch oven. Place the pork on top and pour in the 3 cups of beef broth. The liquids should reach 1/2 to 3/4 of the way on the pork. 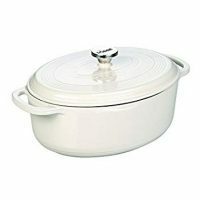 Cover the pot and slide it into your preheated oven. Braise for 4 hours, the pork should be falling apart tender. Use tongs to transfer pork to a cutting board and discard cooking liquids. 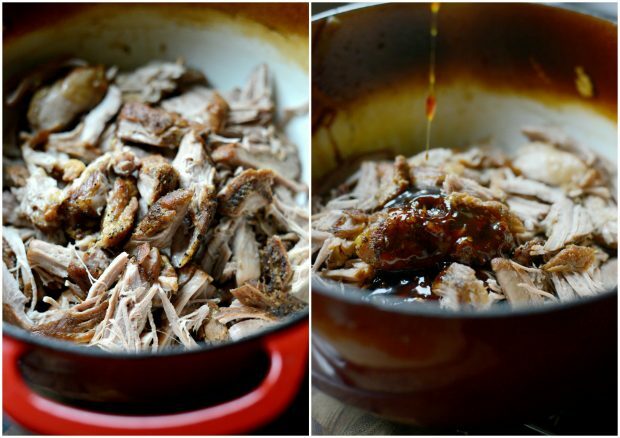 Remove excess fat from the pork and shred into large pieces, adding it back into the (empty) Dutch oven. Pour the Korean BBQ Sauce over and heat over medium to medium-low until sauce is hot. 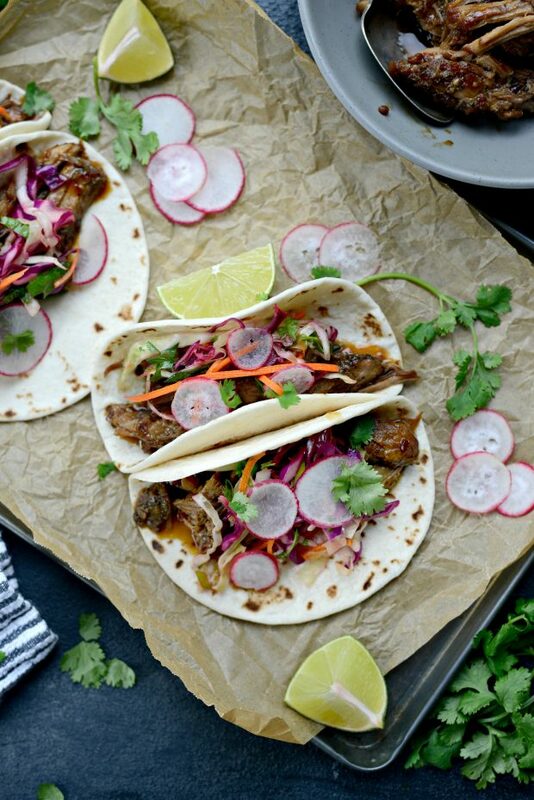 Place the Korean Pork in the center of warm tortillas, top with cilantro coleslaw and a few radishes. NOTE: The recipe for my Korean BBQ Sauce will be enough cover the meat a 3.5 pound pork shoulder (once braised and shredded), any larger size pork shoulder may require you to double the sauce recipe. Also, to make things easier, I made the sauce the night before and keep it in the fridge until the pork has been shredded. 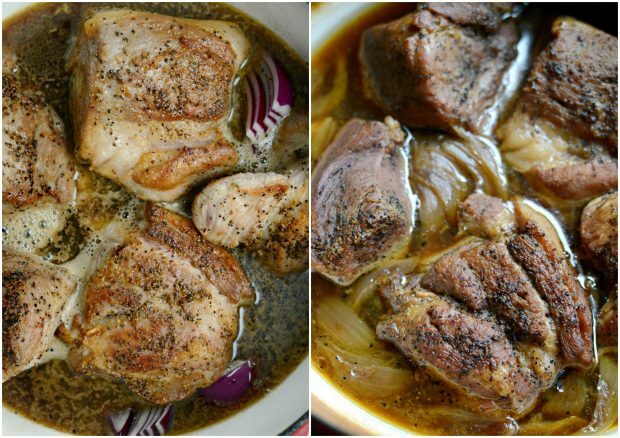 Do you think this could be cooked in the slow-cooker after searing? If so, any suggestions as to the amount of time? I don’t want to wait for the weekend to eat this!! I thought I was the only person watching! Been there since the first “experiment”. 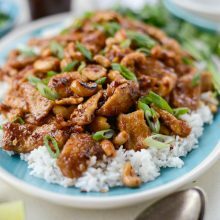 I’m excited to try this recipe next week, it looks amazing! 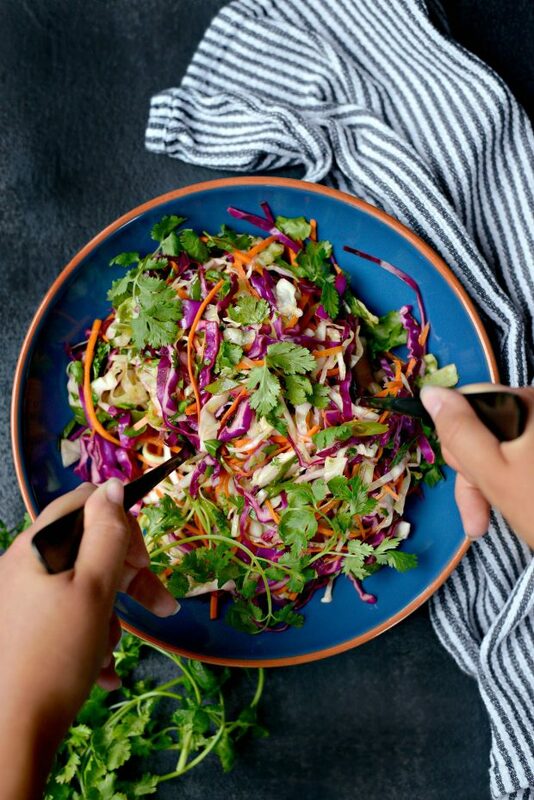 Would you mind linking your cilantro slaw on the recipe for ease of access? Thanks! 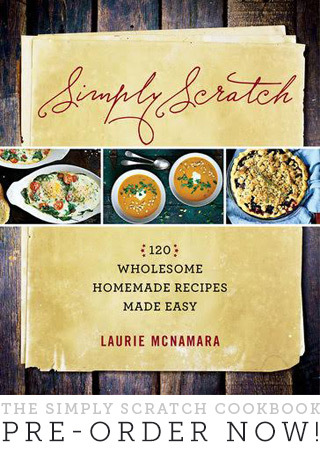 Laurie, thanks so much for my new favorite recipe! 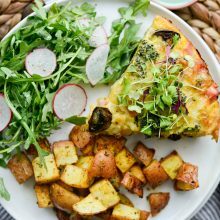 Tried this today, and it was a huge hit – even with my picky 5 year old! We had this with a side of sticky rice since I never left the house to get the things I needed for the slaw, and it was to die for!!! 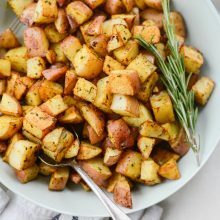 Thanks for breaking things down to such an easy to follow recipe! Am I the only person not seeing the oven temperature?? I’ve looked multiple times and am just not seeing it. 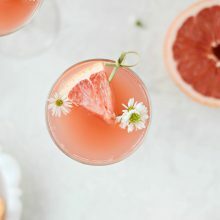 Hoping to make these this week! Hi Kelsey! It’s in the post but I must have accidentally left it out of the instructions! Sorry! It’s 325 degrees. Enjoy!